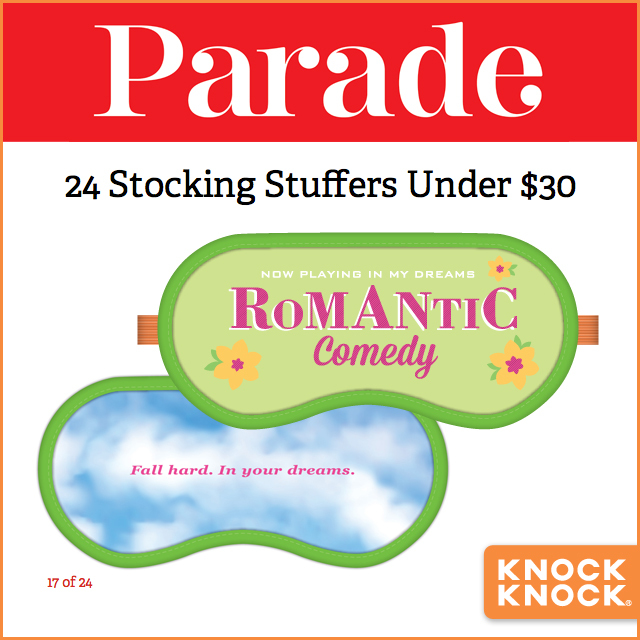 The Romantic Comedy Dream Mask is featured in Parade’s 24 Stocking Stuffers Under $30. This will surely foster some nice dreams in that noggin of yours. 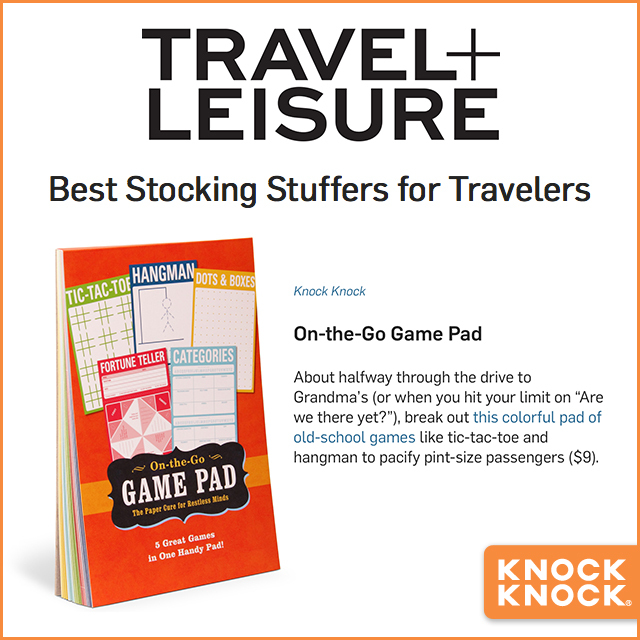 Travel + Leisure featured the On-the-Go Game Pad as a must-have stocking stuffer to help combat road trip boredom on your future travels.